Revlon super lustrous creme lipstick in Coralberry is a lovely golden coral shade that looks great on light, medium, olive, tan and dark skin. This lipstick is universally flattering, so if you're looking for a safe yet pretty coral, try Coralberry. I seriously suggest this lip color to anyone who loves Nars Niagara --although they are not exact dupes, these shades are in the same family, and the Revlon pick is much much cheaper. Coralberry has a slight shimmer (great for thinner lips) and a creamy finish that feels great on the skin and never dries out the lippies. 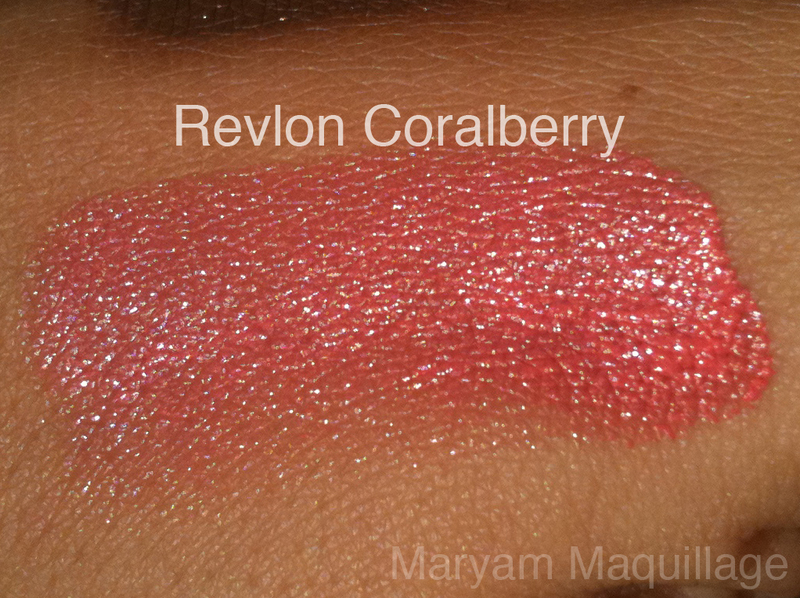 OMG coralberry looks gorgeous on you! 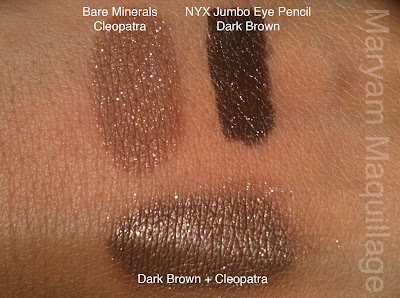 the combination of Cleopatra and dark brown make such a nice color! Simply gorgeous! 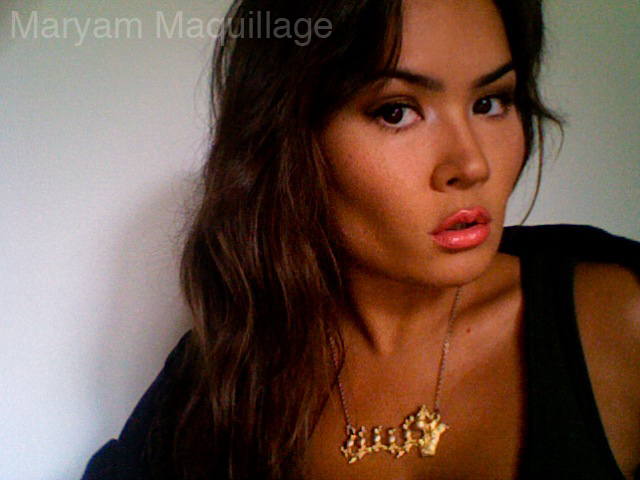 I love that lippe...and the necklace! SO cute! You're so pretty it makes me angry. 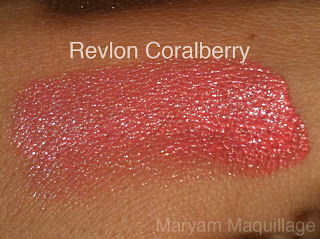 But, on a less psychopathic note I'm now hyperventilating over that coralberry swatch. Okay, that last comment was maybe not any less psychopathic ... but I really, really, really like it. A lot. Gimme gimme gimme gimme gimme. wow you are so pretty ! 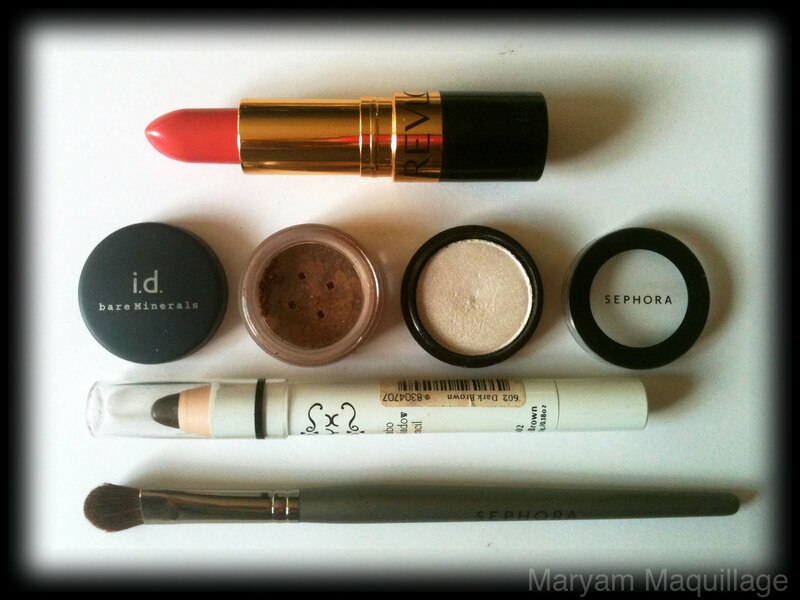 and love the makeup ! I LOVE that lipstick color!! You look so pretty!! This is my first time to your blog and I was so blown away - You are so incredibly gorgeous! Your makeup and nails are perfect post after post. I am definitely a new fan. Wow, that lisptick is gorgeous!!! Busying it for myself tomorrow. Thanks for the tip doll! P.S. Love the blog, I'm now following!! Hey, gorgeous, I love that lipstick color!! Absolutely beautiful! I just found your blog today and I'm in love with your makeup. Gorgeous! Beautiful! I love your necklace!!! These makeup companies should be paying you! Imma go buy that lipstick. LOVE it! Gorgeous look! The lip colour goes perfectly with the eyes! 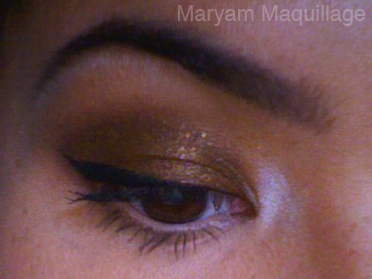 I love how simple this look is; you didn't need to use very many things to achieve such a dramatic look. Ive never been brave enough to try/consider coral lipstick but I am loving this color on you! 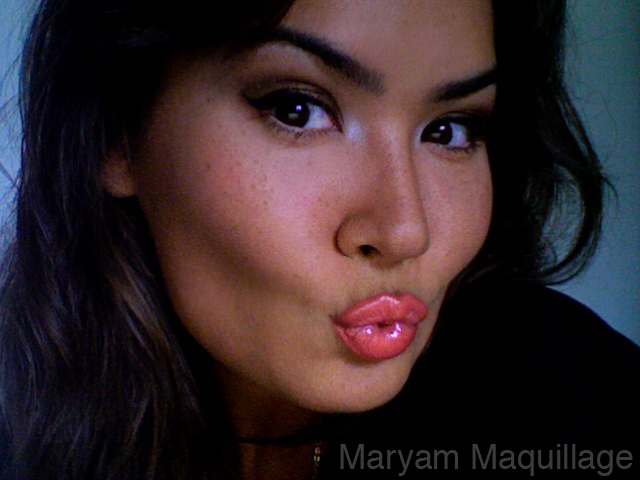 ps- any makeup suggestions for how to make the cheekbones look more defined?